Our portable devices are getting more and more capable of handling multimedia, and this includes audio. Taking advantage of this so many take their music with them on their smartphone. To access the music, we use portable media players. One such player is the Harman Kardon Nova 2.0 Wireless Speaker System. • Transducers: 2.5’’(63mm) for woofer, 1.25’’(35mm) for tweeter. The Harman Kardon Nova came packaged in a good looking box, with photos and specs. Included was the owners manual, power cable, and 3.5 mm cable for a portable device. Materials used in it's construction were mostly plastic, but very high quality. Fit and finish and build quality was very good. I really liked the design and look of the Harman Kardon Nova. They are simply just two orbs, that connect together. One of them has the connections on the back, with an output connector to connect it to and power the 2nd orb. The connections on the back of the front orb are for the power cord, output for the 2nd orb, and two inputs that consist of 3.5 mm input and optical input. Other connection options are to connect wirelessly through Bluetooth or NFC. I also really like their look. The front of the speaker has black cloth to cover the dual drivers, and at the rear of each is the passive radiator. I really like the touch controls and the clear plastic that gives a modern look and design. The touch controls include power, source, and volume control, with white LED's on the top to show the volume level. The clear plastic on the top and sides show the internal turbine look that I think is pretty cool. To test the sound of the Harman Kardon Nova, I turned to tracks from various difference genre and was impressed with the overall sound, especially bass. Highs were crisp and clear, mids were sufficiently smooth, and the lows were deeper than expected and played with good impact. With how good it sounded, I had to verify that it was indeed just a passive radiator at the back, and not an active woofer at the back. I was very impressed with the sound overall. A lot of is was due to the custom DSP used to tune the two active drivers in each speaker, and the passive radiator in the rear. The highs, such as percussion, was pleasantly crisp and not overly bright. The mids had good detail. For their size, the bass also had good extension and output. The output in volume was also fairly good for it's size. Only when I cranked the volume up all the way did the sound seem a tad stretched with a small discernible amount of distortion. The Harman Kardon Nova gives a lot of functionality. I can see them being used in the kitchen, den, or bedroom, where you could hook them up to a CD player via optical connector, MP3 player/cellphone/computer via the 3.5 mm cable, or cellphone via the Bluetooth or NFC. I also love the modern look of the round speakers with clear plastic all around that shows off the internal turbine design. Harman Kardon delivered well on the Nova. With great looks and good sound, the excellent looks provide a synergy that sum up to a great product. 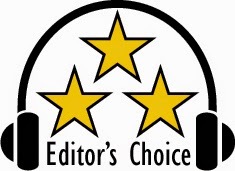 Based on it's design, features, quality and performance, the Harmon Kardon Nova 2.0 Speaker System has earned our Editor's Choice Award. For more info and complete specs, check out their website at www.harmankardon.com.